Electrically driven motors are among the most efficient and easiest to maintain motors because they need relatively few parts to operate. 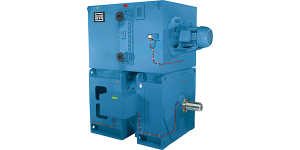 Weg motors offer a high rate of efficiency that many other motor manufacturers cannot match. Weg also provides top-of-the-line gearboxes and other industrial drive equipment that can be used in nearly any application. Whether the task is a deep mining operation or moving fluids along a pipeline, Weg motors and gearboxes can accomplish the task at hand with high rates of efficiency. No matter the type of Weg motor that is used, gearboxes are necessary to provide a drive mechanism to move large quantities of material along the system. Weg motors, gearboxes, and drives are in use in countless facilities around the world. The manufacturer has earned their reputation in the industry for their high quality products. Another top manufacturer of high-quality electrically driven motors is Leeson electric motors. Leeson specializes in three-phase AC electric motors that deliver more than 700 horsepower when high levels of power are required to move large quantities of material-laden fluids. Leeson motors are especially useful in operations that require outstanding performance and longevity. Arroyo Process Equipment is one of the industry’s top suppliers. We have more than 50 years of experience in providing complete, custom turnkey pump package solutions and part selection assistance. Whether you desire Weg motors or Leeson electric motors, our experts can help you find the ideal solution for your operations. With locations across Florida and in the Dominican Republic, we can help you identify the parts and equipment you need and drop ship them to your facilities in Florida, Georgia, Alabama, South Carolina, North Carolina and other states. Our network of authorized distributors offer pump installation, maintenance and repair services around the clock. Contact us for more information about how partnering with Arroyo Process Equipment will benefit your facility today!